Our in-house spa is the perfect place to restore your natural energy, and re-focus your body, mind and spirit. 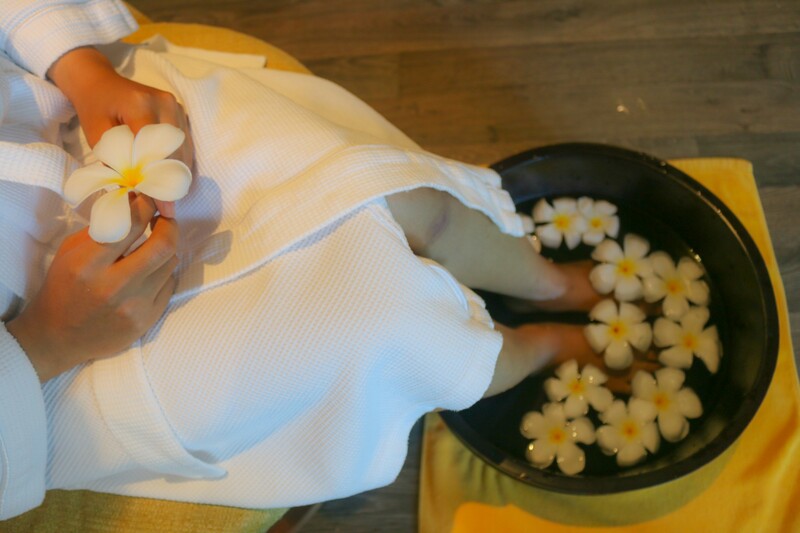 Our skilled therapists will take you on a true journey of the senses, for a deeply relaxed and rejuvenated feeling. Ultimate relaxation awaits with each visit to our Premier Village hotel spa. Our treatments will revitalize every part of your body, through our foot massage areas, treatment rooms, and dry or steam saunas. Our highly skilled therapists specialize in taking each client through a journey of healing and wellness, with each treatment performed according to your personal preference. Our selection of VIP treatment rooms and private saunas are available for guests seeking a distinguished and private experience. These special rooms are ideal for comprehensive treatments, letting your body and soul feel reborn after experiencing a complete massage and wellness package. Our hotel swimming pool comes with an extraordinary view of the ocean, offering a superb outdoor setting for Premier Village Danang’s spa services. Massages and other treatments take on a special feeling when accompanied by a nice sea breeze. Enjoying a relaxing treatment beside the pool, while appreciating a splendid ocean view, makes for the ultimate holiday experience. Leave all your worries and stress behind while restoring your natural energy, helping you get ready to return to your daily life with an extra spring in your step. Our therapists are committed to bringing you an overall feeling of peace and well-being for all your senses. Each visit to our spa will let you feel the energy and the feel-good vibe in this oasis for treatment of the body, mind and spirit. You’ll enter a world where your body feels young, fresh and new, and life is suddenly free from the responsibilities and obligations of the outside world. If only every holiday could be like this. * Public swimming pool is furnished with separate changing rooms for men and women.